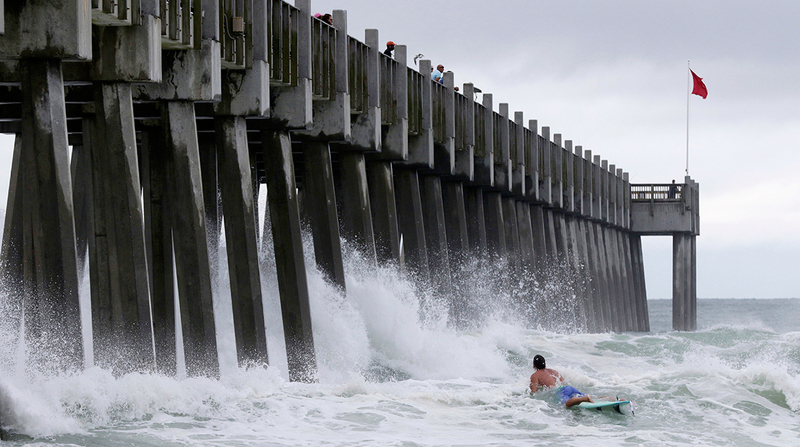 Hours-of-service rules are being relaxed in seven states as Subtropical Storm Alberto bears down on the Southeast. The Federal Motor Carrier Safety Administration announced May 27 that a regional emergency declaration has been issued for Florida, Alabama, Mississippi, Louisiana, Arkansas, Tennessee and Texas. The declaration activates the temporary suspension of certain agency regulations, including HOS rules for motor carriers engaged in relief efforts. According to the National Weather Service, Alberto was moving through Alabama with winds up to 39 mph May 29. The storm, classified as a “tropical cyclone,” is moving north, but heavy rains and flash floods continue to threaten the Southeast. FMCSA’s notice grants exemption from Parts 390-399 of the Federal Motor Carrier Safety Regulations. Parts 390-399 cover parts and accessories needed for safe operation, hours of service and longer combination vehicles. They do not exempt drivers from requirements relating to commercial driver licenses, drugs and alcohol, hazardous materials, size and weight, and registration. According to FMCSA’s website, drivers should communicate with state emergency officials before making trips to offer assistance. “Even though safety regulations may be suspended, drivers and carriers are expected to use good judgment and not operate vehicles with fatigued or ill drivers, or under any conditions presenting a clear hazard to other motorists using the highways,” FMCSA states on its web page about emergency declarations, waivers, exemptions and permits. FMCSA issued a similar emergency declaration last year in response to Hurricane Harvey.